We’d love your help. Let us know what’s wrong with this preview of Queen of the Conquered by Kheryn Callender. Sigourney Rose is the only surviving daughter of a noble lineage on the islands of Hans Lollik. When she was a child, her family was murdered by the islands’ colonizers, who have massacr An ambitious young woman with the power to control minds seeks vengeance against the royals who murdered her family, in a Caribbean-inspired fantasy world embattled by colonial oppression. 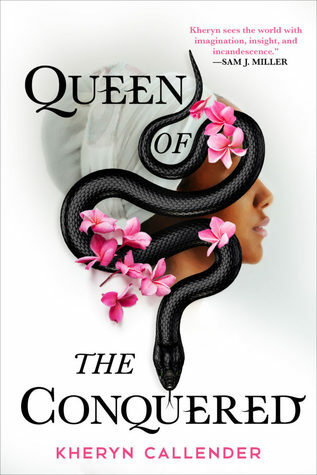 To ask other readers questions about Queen of the Conquered, please sign up. Will it be a standalone or parte of a series? Not only is this a gorgeous but this book is about the colonisation of the Caribbean????! I am here for any book where colonisers are the villains!